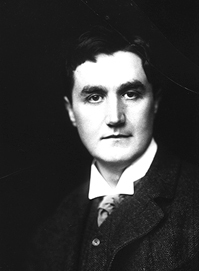 As a schoolboy in Bath I was taught by John Sykes, who had been a composition pupil of VAUGHAN WILLIAMS. 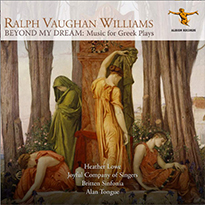 I listened to the VAUGHAN WILLIAMS LATER SYMPHONIES ON LP as Sykes acquired them on their release. 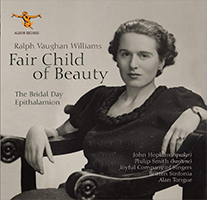 I once saw VAUGHAN WILLIAMS conducting his music in Bath Abbey. Little did I know then that my own career would become linked with HIS music. 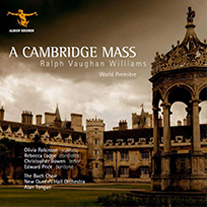 In 2007, Alan Tongue unearthed an unpublished and never performed work by Vaughan Williams from his mid-twenties: his exercise for the Cambridge Doctor of Music degree. After many months 'transcribing’ the Mass, Alan conducted its World at the Fairfield Halls in Croydon on 3 March 2011. Read about the discovery, history and world premiére of A Cambridge Mass here. As well as the value of the programme we listened to, besides the well-deserved applause for the soloists and the National Radio Orchestra, we must appreciate especially the conducting performance of the English Maestro Alan Tongue. 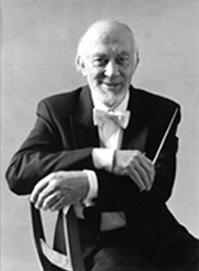 Wisdom, calmness and discipline, the power of communication through an economical but effective gesture, are only a few of the qualities of this musician, due to whom the new works, both for him and for the orchestra, were successfully presented in such a discouragingly short time.